The next summer, just after my 16th birthday in 1978, I coached an intramural team that I named the Goal Rush. The kids were Boys U-10 and all the coaches in the league were teenagers. As this summer league did not have any referees, each coach had to ref half the game. I quickly discovered that I was a much better referee than coach and it was enjoyable to ref so after the summer was over, I contacted Gordon and became an intramural ref for our club. I was assigned girls U-10 games (played 11 vs. 11 on a big field in those days). If I refereed the game alone, I was paid $6 and if I refereed with a partner (in the old two-man system), I was paid $4 per game. While choosing a college is a major decision for every student, my choice of college had another dimension. I was refereeing many games during the spring and fall and knew that I had much more natural ability as a ref than as a player. If I played college soccer, that would take me away from refereeing. So I deliberately chose a college without a soccer team, Parsons School of Design in the Greenwich Village section of Manhattan, and concentrated on my major of advertising art while refereeing on weekends. Sometimes the most important things we learn in school have nothing to do with the curriculum. I attended Parsons from 1980 to 1984 and my time there mimicked Ronald Reagan’s first term in the White House. Right near Parsons, all these young men, my age at the time and a little older, were dying and nobody knew why at first. It was the beginning of the AIDS crisis. I learned then what many others learned on 9/11 that no matter how different we might seem to be, we still have a great deal in common and are all connected. 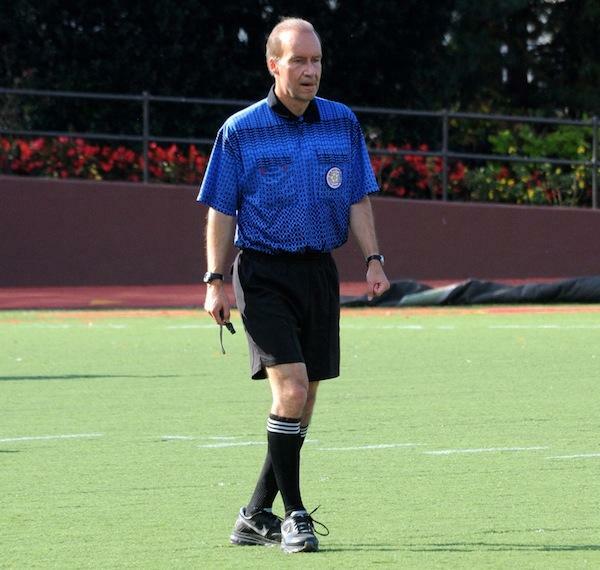 My graduation from high school to college corresponded to my graduation from intramural to travel team soccer as I started refereeing in the Long Island Junior Soccer League (LIJSL). The games really added up and so did the money as the LIJSL paid double what I made in intramurals. It was great to be a teenager and to be paid much more per hour than my classmates who were flipping burgers in fast food restaurants. But more important than that, I was learning to manage 22 players and learned to have authority over adults. After successfully managing a game, running a department of a company could conceivably be easier. I started at Sudler & Hennessey 30 years ago on Halloween 1984, still remember my very first day and all the things that Carl, Tad and my other friends taught me in my three wonderful years there. I kept in touch with them as I moved to other ad agencies. Carl lived right near Brooklyn College and came to one of my games there in 1998. It was the last time that I would see him as he died at the age of 70 a few weeks later. 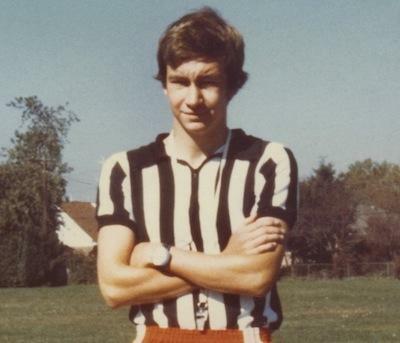 1 comment about "How I Became a Referee -- and Why I'm Glad I did". R2 Dad, July 24, 2014 at 4:30 p.m.
Good stuff, Randy, and thanks for tying this into your work experiences. Required reading for all Leagues hoping to recruit more youth referees.